You know that feeling of pure, mind-numbing stress when you’ve got a million things to do but don’t know where to start? With a pile of tasks tall enough to dwarf a basketball player wearing platform shoes, you sit at your desk with aching eyes and the sense that no matter how hard you work, you’ll inevitably fail to achieve what you set out to do by the end of the day. Well, what if I could tell you that you never need to feel like that again? 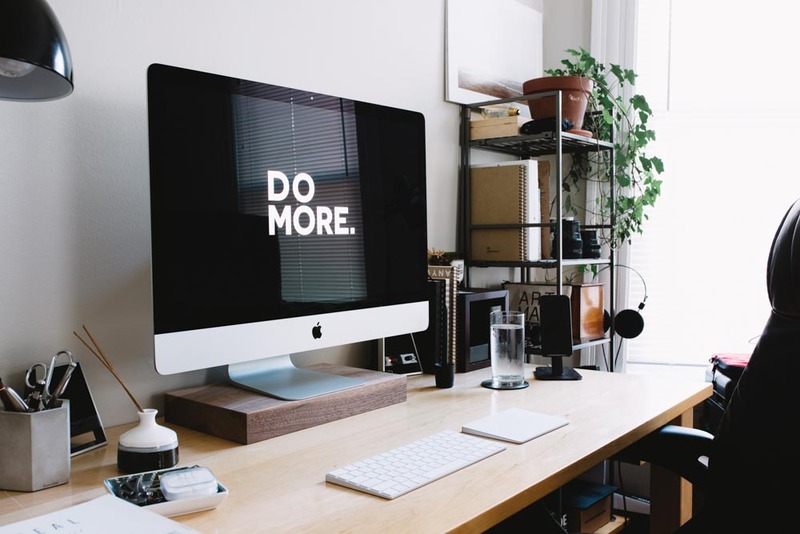 It may sound overly ambitious, impossible even, but with the right approach to work you’ll be able to close your laptop with a completed to-do list and the freedom to spend the afternoon how you choose. While most people clock off work at around five, certain super-productive folk are able to get their work finished earlier. I’ve found that by approaching projects the right way, I can get my work done in half the time, without sacrificing on quality or attention to detail. Ridiculous, right? Even crazier when you consider that I used to be a chronic procrastinator – the kind of person who’d stubbornly start the first job of the day at 11am, after spending two hours mindlessly scrolling social feeds or watching YouTube videos. That kind of behaviour can make you feel even worse; the knowledge that you should be working adds extra stress and results in a ‘can’t fail to fail’ attitude that not only affects your productivity, but also the quality of your work. When I quit my job to go freelance in 2015, I knew that something had to change. With my survival as a self-employed person dependent on effective time management, I started adopting new techniques to work more quickly and efficiently while still delivering finished projects that went above and beyond my clients’ expectations. Three years on, I’ve built up an arsenal of to-do list conquering strategies that leave both me and my clients feeling entirely satisfied. I get more free time to spend on my creative passions and hobbies, while the people I work for are reassured that I’ll always be able to meet deadlines and deliver exceptional work, no matter the scope of the project. So, what changed? I learned to work smarter, not harder – to capitalise on times when I feel my most productive and power through my daily tasks in half the time. You can do it too! Seriously, it’s not that hard. Here’s productivity hack number one: how to complete your to-do list by lunchtime. If I could only share one piece of advice to help fellow freelancers improve their productivity, it would be this. It’s ridiculously simple, but ridiculously effective: get out of bed an hour or two earlier than you usually would, get straight to work, and power through the toughest task of the day at a time when you’d usually be asleep. Not gonna lie, I found this tough at first. I’m by no means a morning person – in fact, I’m a perpetual snooze button-presser, particularly during the darker months when getting up at 6am feels like a middle-of-the-night mission. But once I discovered how much of a difference getting up early makes to my daily productivity, I began fighting through the yawns and slaying my least favourite tasks while most people were fast asleep. My productivity received a massive boost, and I felt so much better for it. Ever heard the saying ‘eat the frog’? Don’t worry, it doesn’t involve gulping down slimy amphibians: it’s an analogy that Mark Twain once used to describe the practice of doing difficult jobs as quickly as possible. The idea is that by getting the worst stuff out the way first, you equip yourself with the confidence to get everything else done in half the time. Think about it: how many times have you delayed doing the thing you’re dreading, allowing it to dominate your headspace and affect your performance on other, easier tasks? You end up dragging out a job that should only take ten minutes in order to avoid the real challenge. By eating the frog and getting the trickiest task of the day done first, you’ll feel amazing about yourself and smash through the remaining jobs on your to-do list with minimal effort. Plus, by doing it super early, you won’t even be using up your usual working hours. Reward yourself with a delicious breakfast, then crack on with the rest of the day’s work. That lunchtime deadline doesn’t look so difficult now, does it? Did you know that every minute you spend planning can save ten minutes when it comes to actually getting stuff done? While it might feel like you’re wasting time writing out lists in pretty notebooks, this is a super important step in the process of productive working. The trick to efficient planning is to be time specific. I like to plan my work day into time blocks: for each task I need to do, I’ll estimate how long it will take and give myself a mini deadline to get it done. How’s that for an insanely productive morning? Notice how one scarily big task has been broken down into more manageable chunks, including allocated time for well-earned rest time. My breaks often involve coffee and dogs, but you might prefer to spend yours watering plants or catching up with a human friend – whatever works for you. This method works so well because instead of giving yourself a single looming deadline, you’re allowing yourself to progress through a series of small, achievable tasks. Each completed item brings you closer to your goal, and by setting yourself a realistic deadline for each one, your mind will become focused on meeting it. Without a proper plan in place, you could easily spend all morning browsing the web for ‘inspiration’, or making doodles of your ideas without any real purpose behind them. The time block method counters this by forcing you to focus on each of the smaller, component tasks that your daily goals require you to accomplish. Before you know it, half your to-do list is complete, and you feel so good about it that you blaze through the remaining jobs before you can say ‘lunchtime!’ Nice one! Different people work at different speeds. No big deal – it takes all types, right? But in order to feel truly productive, you’ll need to be honest with yourself about how long it takes you to get stuff done. There’s no point in creating a to-do list for the day that you simply won’t have time to complete. No matter how good your intentions are, setting unrealistic goals will result in inevitable failure. That’ll make you feel crappy and stressed out, and if a client is waiting for you to deliver something by a certain time, you could also end up looking unprofessional. Not good! Knowing your personal limits when it comes to writing a to-do list means you’ll give yourself realistic goals, setting you up for success instead of failure. You need to account for your strengths and weaknesses: maybe you’re an unstoppable force of productivity with a pencil in hand, but become sluggish behind a screen. Use this self-awareness when you’re allocating deadlines to tasks, and cut yourself some slack for the things you know will take a while. It might help to reward yourself with a break after you’ve done something particularly snore-inducing – I find that this motivates me to power through the slow stuff. Similarly, by starting your post-break work session with something that you enjoy, you’ll make it easier to get back into the swing of whatever project you’re working on. I really hope these tips help you to increase your productivity and spend more time doing the things you enjoy. Let me know how it goes for you – I’d love to hear about your progress over on Twitter or Instagram. I’ll be sharing more productivity hacks on the blog soon. If you found this post helpful, you might want to consider signing up for my monthly email newsletter. Subscribers get all my best content sent straight to their inbox. No spam, just useful stuff! Sign up to receive free marketing tips and creative how-to guides via email.